The Ufo-shaped FUTURO House by Matti Suuronen was one of the first mass-produced plastic houses in the world. This design icon symbolizes in unparalleled manner the late 1960s vision of the future, when new materials were in the center of visionary designs for mobile living spaces. Driven by a faith in science and technology and the conquest of space, the FUTURO epitomizes the aspiration back then to create new, functional and efficient homes. The search for new, pioneering materials and shapes is back as a key theme in design now. 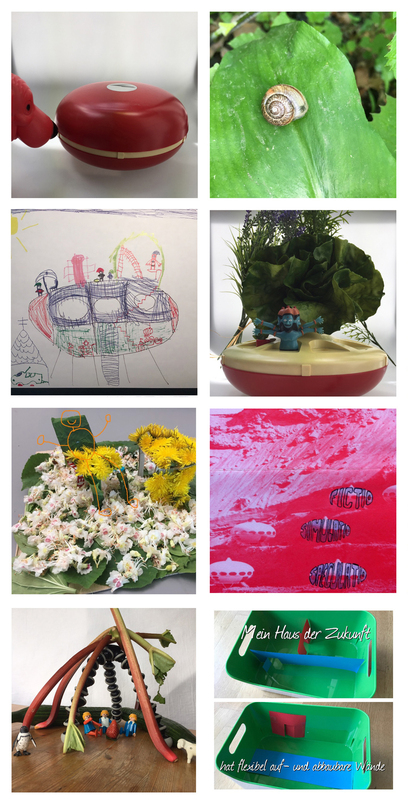 Parallel to the presentation of the FUTURO Houses outside Pinakothek der Moderne we invite you to share your visions of the houses of tomorrow with us. Shape your house of the future! What does your Futuro look like? Is it large, small, round, angular, open, closed, inhabited or empty? Draw, make, mold or photograph your house or your space for the future – and you’re your design at #futuroMUC on Instagram. Use any materials you like, and any shape is likewise permissible. Be it Lego, paper, fabric, wood, noodles, or grass – we’re really eager to see what you will come up with. We’ll upload the most beautiful of the ideas to our Website, and the best designs will win a true-to-scale 3D print of the FUTURO – with friendly support from Proto Labs.